Today’s 10 on Tuesday topic, Headlines From the Year You Were Born, was a fun one to work on. Obviously, I don’t actually remember anything from the year I was born, but thankfully, the Internet does – despite the fact that I was born well before it existed. Most of these stories – with links to more info – can be found on the Wikipedia page for 1971. Google also landed me on an article from US News and World Report and a site called 1970s Flashback, from which I got other items. Lovely thing to be happening the day I was born, no? But it could explain why I’ve been fascinated by this story since I first stumbled upon a copy of Helter Skelter while working at the library when I was 14. 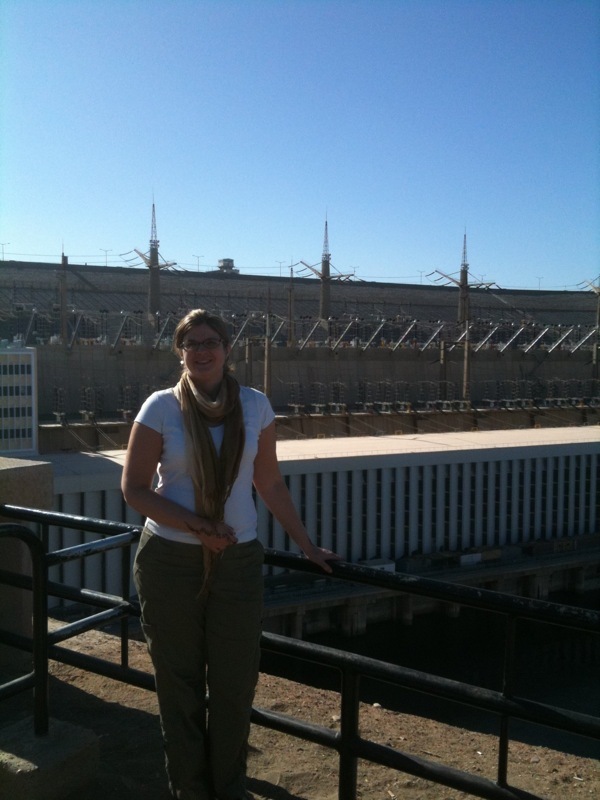 Me at the Aswan High Dam, which opened the year I was born. We were both 38 in this photo. I went to the Aswan High Dam when I was in Egypt in late 2009/early 2010, and it’s totally impressive. I did not know, however, that we were nearly the same age. Well, it’s not the first moon landing, but it’s something! I kind of wonder how (or if) this impacted my elementary school years, since I have no recollection of either my school or neighborhood being segregated. I bought a ticket to Houston during Southwest’s 40th birthday celebration this summer. I’ll be using it next week to be there for my nephew’s first birthday, so thanks, Southwest, for being as old as me! Either way, my first presidential election would have been 1992. I did get a few state and local votes in between 18 and 21, though. I just saw Wicked here over the summer. I don’t recall them mentioning having a big birthday. As noted late last week, I have never been here. I couldn’t resist this one, since OTB loomed large in my childhood – apparently from the very beginning. Note: The italicized items in the list above are from the sites mentioned in the intro and are verbatim (or nearly) quotes from those sources. Updated to fix the title – forgot to take it out of the second person. Whoops. This is an interesting list. I love how some things are the same age as you are.